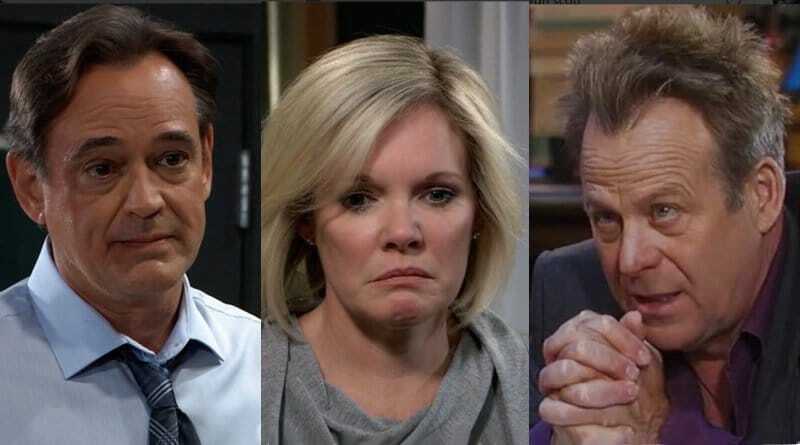 General Hospital spoilers hint that Kevin Collins (Jon Lindstrom) steps up to help Ava Jerome (Maura West) trap his brother Ryan Chamberlain when Scott Baldwin (Kin Shriner) won’t man up. This week, Ava decided to take control of her fate and not let Ryan sneak up on her. So, she met with Laura Spencer (Genie Francis) and Felicia Scorpio (Kristina Wagner) and they plotted on how to beat the serial killer once and for all on the the ABC soap opera. GH spoilers promise the approach that Felicia, Laura and Ava decided was best is dangerous. They want to kick Ryan Chamberlain right in the…. ego! Laura mentioned how sloppy Ryan got when Kevin Collins enraged him. Felicia chimed in and agreed that when he loses his composure the serial killer can’t strategize. So, their big plan is for Ava Jerome to pretend she’s rebounded with a new man. Other General Hospital spoilers say that later next week, Ava turns to her good friend and occasional lawyer Scott Baldwin. Of course, Scott has been skeptical that Ryan survived. But now that forensics indicate that Ryan was alive when his hand was lopped off, it’s looking more like he lived. Thus, when Ava Jerome asks Scott to be her pretend lover, he’ll need to think carefully. 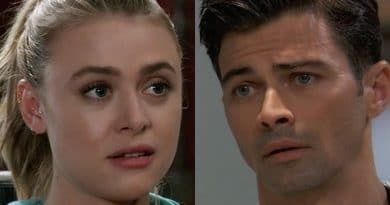 General Hospital spoilers say it’s Thursday, April 18 when Ava asks Scott to step up for her. But he doesn’t think about it for too long it seems. Because on Friday, April 19, his answer frustrates Ava Jerome. Fear gets the better of Scott Baldwin, it appears. He’s known more for his sharp legal mind than being heroic or brave. Ava burns from the rejection, promise GH spoilers. The same day, Kevin Collins learns about the plan to entrap his twin, Ryan Chamberlain. Spoilers for the following Monday say that Ava gets another “no”. She may turn to her BFF Franco Baldwin (Roger Howarth) to ask if he’ll step in and help her. But since Ryan stabbed Franco, he might not want to play her reindeer games. General Hospital Spoilers: Kevin Collins Volunteers For Deadly Duty? 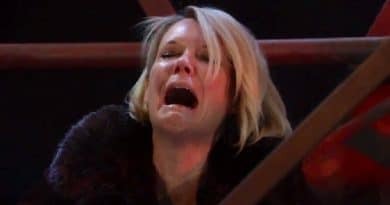 Kevin Collins volunteers after Ava is spurned again, tease GH spoilers. He’s the perfect choice for a couple of reasons. Kevin avoided prison for his brother’s crimes but also feels enormously guilty for the lives lost on his twin’s killing spree. So, if he can help end Ryan’s reign of terror, Kevin Collins would help. Second, Ava Jerome getting a new man in her life will rile up Ryan. But if he thinks he’s taking solace with his brother, whom he hates, Ryan Chamberlain will be livid. General Hospital spoilers for the week of April 22 say that Kevin Collins is desperate for closure so he volunteers for this life-risking mission. However, Ava Jerome might not want an assist from Kevin because it may be too creepy for her. While General Hospital spoilers say Kevin Collins is desperate to make up for his role in Ryan’s murder spree, others don’t like this. For one, Mac Scorpio (John J York) is furious the following week when he learns about the plot his wife helped create. Plus, Laura dislikes the risk and asks her husband to reconsider. There are others that are on board. 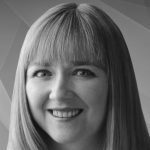 No doubt, Felicia wants to keep Kevin safe but she also wants to know Ryan Chamberlain will spend his life behind bars where she doesn’t need to look over her shoulder. Also, Lulu Spencer (Emme Rylan) agrees to help so she may publicize the fake Ava-Kevin relationship using her media contacts. Of course, it seems Ryan is already in Port Charles since someone was spying on Ava at Charlie’s Pub. Kevin Collins wants to lure his brother close so the PCPD can nab him. However, Ava Jerome made it plain clear she plans to kill her ex-lover. With only one hand to fight her off, Ryan Chamberlain might go down this time on the ABC soap. See us back at Soap Dirt for this and other fresh General Hospital spoilers.